A spaceship carrying 2,000 human colonists to a distant planet is jolted by an energy beam, disabling the vessel. As the crew repair it, a message is received from a much closer planet. As the planet appears more suited to settlement than the chosen destination, they decide to investigate. Once there, the crew is infected by a parasite that grows inside them before bursting out of the host human as a huge, murderous alien. 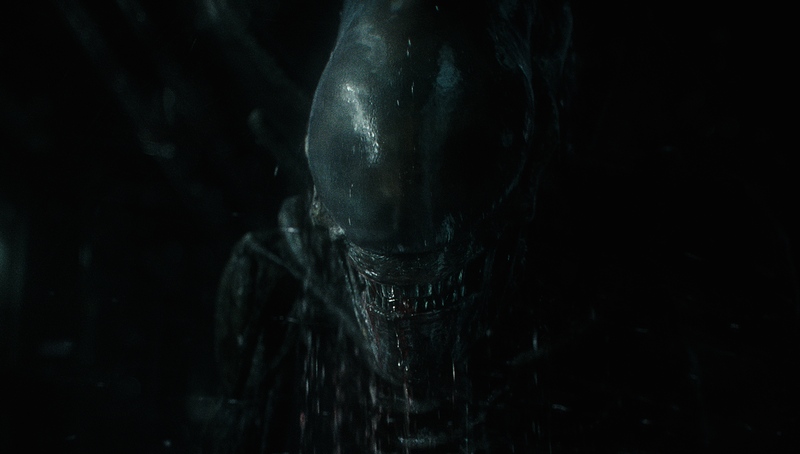 Given the difficulties that his first prequel film in the Alien series faced with grafting one type of film onto another, Covenant is a welcome return to the full-throated, squirm-in-your-seat horror more readily associated with the franchise. Covenant actually manages to go a few moon steps further – it combines all of the previous films into one. Is this an example of ‘austerity narrative’ on a grand budget? Excise the core components of five films and transplant them into one script? 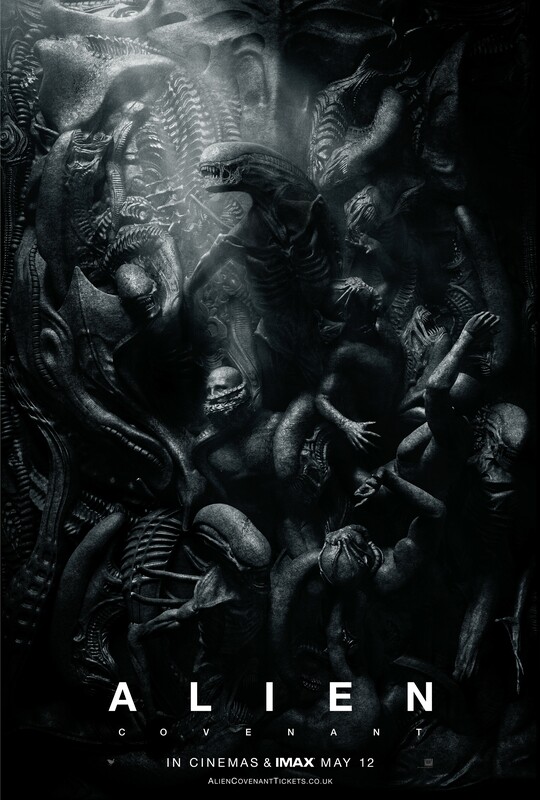 Has Alien: Covenant gone beyond being merely derivative and finished as a multiple facsimile? I’m tempted to advise those who have not seen these movies and are interested in saving half a day of binge watching to just view this one instead, but that would mean you miss out on the exceptional quality of the first two films. Reigning in his imagination that ran amok to nowhere useful or interesting with the first prequel Prometheus (2012), director Ridley Scott returns to what he did so terrifyingly well with Alien – scaring the bejesus out of an audience. There are a number of genuinely unsettling moments in this movie that had this reviewer wincing to avoid looking at what I knew was coming. Covenant is more gruesome and visceral than Scott’s first film and certainly makes your heart beat in time with the pounding, adrenaline, drum-score thumping away in the background and some atmospherically photographed moments that underline the foreboding nature of the seemingly perfect planet. 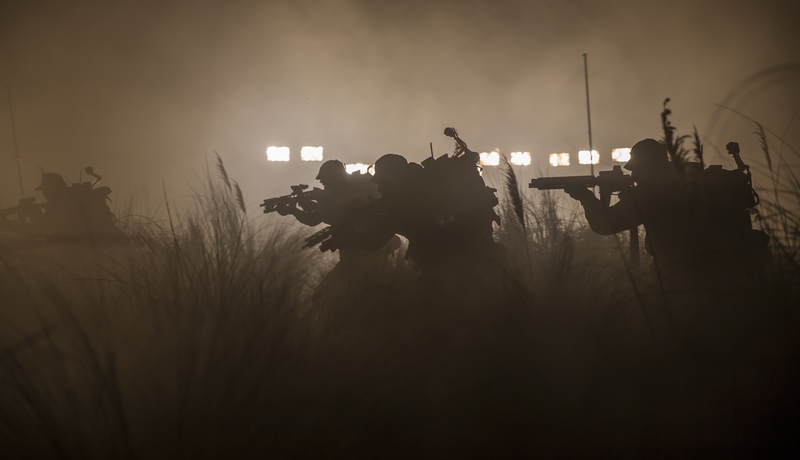 Night-time action in Alien: Covenant (2017). Image – 20th Century Fox. It goes without saying that this is thanks to the ‘alien’ making a full reappearance to chew and explode its way through the bodies of the cast. There are several evolutions of the creature here, linked to the biological machinations of impassive android David (Fassbender), ironically the only thing onboard Prometheus left alive, despite the ship’s mission to expand humanity’s existence. Time for a bite. The alien in Alien:Covenant (2017). Image: 20th Century Fox. Scott’s writers also don’t fanny about with philosophical twaddle about the origin of man and plough full steam ahead with a great scream ride. They also reintroduce a word from the first film that carried with it such menace when Ian Holm repeated it – collate. Never has such a dull, innocuous word sounded so chilling. 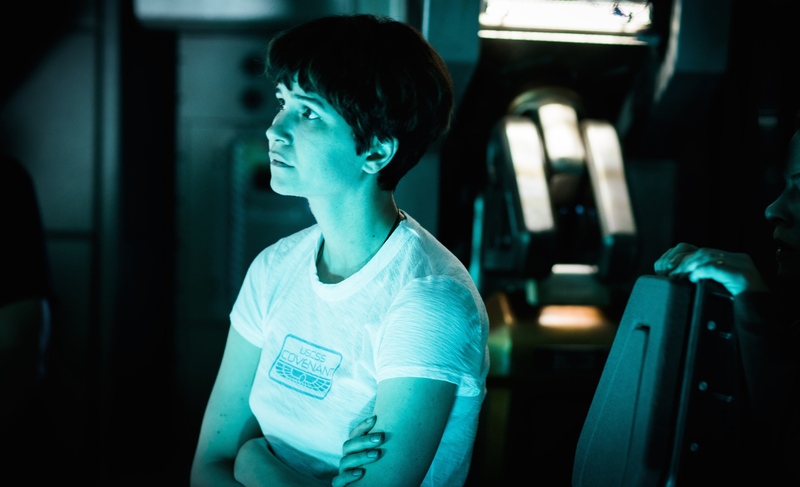 Katherine Waterston as Daniels in Alien: Covenant (2017). Image – 20th Century Fox. Shorn of the prissy arguments of the scientists in Prometheus, Scott is comfortable with his proletariat characters fumbling in the dark here and employs a hardworking cast to round them out. Waterston, as the grief ridden Daniels (there is a brief cameo from James Franco as her doomed husband) and Crudup as the ethically conflicted captain score well in their respective roles. But while all of these ingredients add up to a more satisfying slice of sci-fi cake, they still leave us with the feeling that we’ve seen all of this before. There are no new ideas, it’s all rehash, rehash and a soupçon more rehash. As I said at the top of this review, if you haven’t seen the previous Alien films, you’ll love this as a stand alone piece. If you have seen them, settle down for a familiar nerve-jangling rollercoaster. Producers: David Giler, Walter Hill, Mark Huffam, Michael Schaefer, Ridley Scott. Michael Fassbender, Katherine Waterston, Billy Crudup, Danny McBride, Demian Bechir, Carmen Ejogo, Jussie Smollett, Callie Hernandez, Amy Seimetz, Nathaniel Dean. 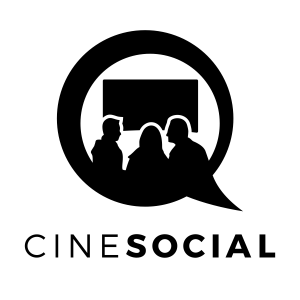 Good post – do you ever share your writing on any movie sites? submit reviews and articles to other places. That’s great! Do you ever share your writing on Moviepilot? The reason I ask is because I was wondering if it’s something you’d be interested in.